I am not one to post Black Friday or similar deals, but I am seriously impressed with Motorola’s offerings this year. And by that, I mean Motorola UK, not USA! Some serious savings are to be made, though a bit gutted that the Moto G does not exist on this list. Motorola is offering customers savings of up to 50% for Black Friday – with huge discounts off selected phones from 1:00pm on Wednesday 25th November. Whether you are looking for a new phone of your own or getting a head start on your Christmas shopping, these deals are perfect both for tech enthusiasts and those joining the smartphone revolution for the first time. Moto X (2nd Gen) boasts a vivid 5.2” full HD display, voice controls and its super-speedy quad core processor delivers seamless multitasking so users can enjoy the web, apps, videos and more – perfect for staying entertained over the holiday season. With up to 48-hours of battery life and a water-repellent design, Moto X Play will love you back day and night, rain or shine this Christmas. Take brilliant photos and stunning videos with its 21 megapixel camera, and show them off on the edge-to-edge 5.5-inch HD display. And living up to its name, get all the power you need for gaming, streaming and multi-tasking at the speed of life with a Qualcomm® Snapdragon™ processor. Nexus 6 is perfect for watching festive movies this Christmas with a six-inch Quad HD display, around-the-clock 3220 mAh battery and dual front-facing stereo speakers. 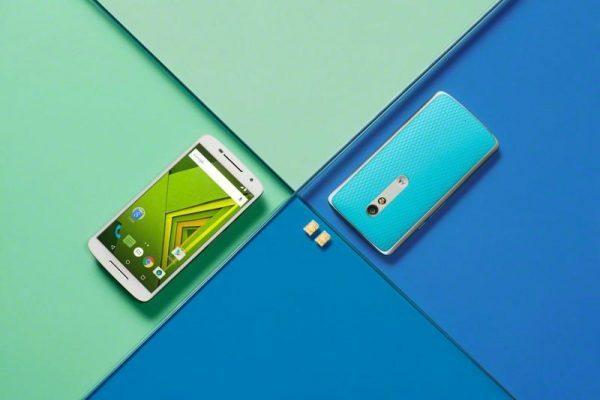 If you’re looking for a great value smartphone for under £100 then look no further than the Moto E. Boasting a 4.5-inch qHD display, all-day battery, Motorola’s Quick Capture camera feature and even more customisation options, Moto E provides a great mobile experience at a price that won’t break the bank this Christmas. These offers begin at 1:00pm on Wednesday 25th November and run until 11.59pm on Monday 30th November, only while stocks last. Visit www.motorola.co.uk for more information. Next story Why is your phone like buttered toast? Motorola finds out the science!